The musical instrument industry today is nostalgic. Sentimental guitar players often connect with sounds and styles of brands past, even if those brands were relatively minor in their heyday. This is part of why the guitar industry is largely driven by reissues of models designed in the 1950s, such as the countless Strat and Les Paul iterations. Yet, that demand doesn’t just keep the old titans running. It has set the stage for halcyon brands to reappear. The explosion of the guitar’s popularity in the 1960s led to countless companies jumping into large–scale production. Thanks in large part to rich competition, these brands continued a tradition kickstarted in the 1940s of tinkerers offering quirky, yet functional visual and physical designs. Some such brands have been through many owners and periods of widely varying quality, but their mystique and reputations keep them relevant. That continued interest has seen old brands like Kay, Silvertone, Guild, Danelectro, Supro, Magnatone, MuTron, Micro–Frets, and Mosrite resurrected by new firms. But how does a company acquire a brand? How does it decide what to reproduce and how to get those nostalgic instruments sold? The story of resurrecting old brands is one that’s as much about the modern musical industry as it is a hunger for vintage designs. For Pigtronix, the brand face of Absara Audio, acquiring Supro was a once–in–a–lifetime opportunity. David Koltai, founder of Pigtronix, had known Supro’s owner Bruce Zinky for many years. Zinky had made a name for himself designing amps for Fender and acquired the Supro brand for his own venture. But by 2013, Zinky was struggling with Supro. He had owned the brand’s trademarks for years but was not making amps with Supro’s traditional sound and style. Koltai purchased Supro in 2013 and made a quick move to produce new products under the brand’s banner for NAMM 2014. Guild has been through its share of ownership changes over the year. Now being managed by Cordoba, Guild fans can rest easy the the classic models are in good hands. Similarly, when Guild was purchased by Cordoba from Fender in 2014, Cordoba received all of the intellectual property and many of Guild's original manufacturing aparati. This made the relaunch of the brand easier, as there was a direct connection to its past. When Fender acquired and initially relaunched Guild in 1995, it focused on selling low–cost Asian crafted imports and very upscale custom shop models. This move alienated a core part of the market: players who want high–quality, mid–priced guitars. 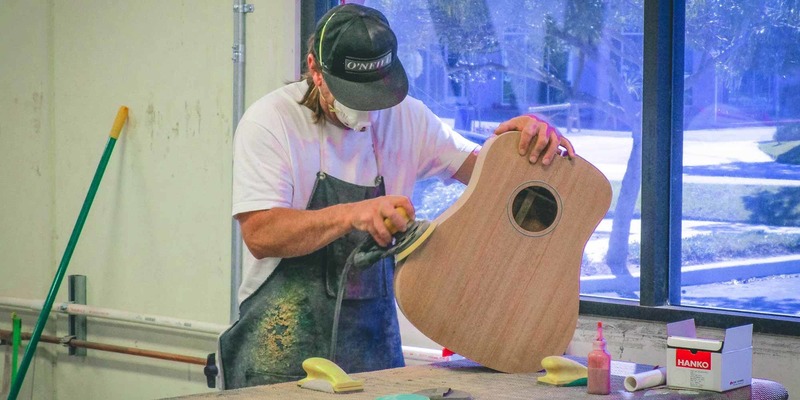 When Cordoba bought Guild from Fender, it continued manufacturing in Asia for a short period before beginning to manufacture its instruments in Oxnard, California, as I chronicled in an article about the new Guild. After that factory opened, Guild was back to producing high–quality, affordable guitars in America. Such products were a hallmark of the original Guild brand — generally considered a workingman’s brand in its heyday — so this move brought instant credibility to the new owners. Since Cordoba was a classical guitar manufacturer, it reintroduced two acoustic Guild models: the D–20 dreadnought and M–20 with an 000–style body. Supro followed a similar path. Starting a line of amps, Koltai and his team wanted to prove its faith to Supro’s history by offering affordable guitar amps made in the USA. “Supro was a pioneer in amp making, predating Fender, Vox, and Marshall. Supro was also the first company to produce a combo amp with reverb. We wanted to stay true to the vision. Supro was a premium brand, but also a widely available, mass market brand,” Koltai explained. Koltai concentrated on what attributes made Supro unique and kept the name alive long after the company initially folded in 1968. The tone of the Supro amp is what set the brand apart. “The Class A power amp in a Supro is a simple, classic design. It was also a very unique poweramp and needed to be brought back,” says Koltai. This led to five new Supro amps debuting at the 2014 NAMM show. Koltai and team were diligent in recapturing the look, vibe, and tone of the amps. While the reborn Supro aims to build affordable amps that are competitive in major guitar stores, the new incarnation of Magnatone guns for the boutique market. Thanks to its higher prices and line of low–wattage combo amps, Magnatone has been mentioned in the same conversation as Matchless and Dr. Z ever since receiving wide acclaim at NAMM 2013. Magnatone's pitch–shifting tremolo circuit found on many of the the brand's vintage amps reappears on its Panoramic Stereo, Twilighter, and Super Fifty–Nine models. Once a brand is re–established, care must be taken when introducing new items to the range. Conversely, it can be difficult to appeal to players with more modern tastes when steeping a new product in the the past. When Cordoba relaunched Guild, it made a tweaked vintage guitar designs to suit current day tastes. The Starfire II was given a fixed Tune–o–matic bridge and the S–200 T–Bird got a simplified control layout. These were changes that improved the functionality of each model without sacrificing the retro vibe of the guitars. 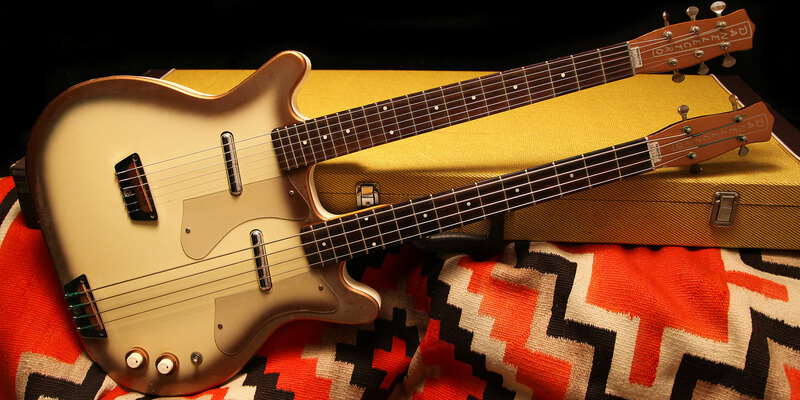 Danelectro has made similar tweaks to its models in recent years. When the Evets Corporation started manufacturing guitars under the brand’s name again in 1998, Danelectros had necks with modern shapes and finishes, but vintage truss rod locations and bridge styles. Recent models, on the other hand, offer necks more faithfully painted and shaped necks alongside modern bridges and truss rod locations. The reissued Danelectros’ vintage vibe was perfect, and playability was greatly improved. Supro introduced two series. The Island Series is based on the original Supro Ozark design. The Americana Series features throwback reso–glass construction, just like the red Airline guitar Jack White famously featured in the White Stripes. The pickups on original Supros were powerful, clean single coils with widely dynamic range. They featured distinctive art deco styling and, while often as large as humbuckers, were mainly single coil constructions. The accepted history of the company doesn't tell the whole story. Howard Daniel fills in the gaps in his father's story. With relaunching a brand, one of the major challenges is distribution. For financiers and distributors, the gamble is apparent. If the brand already failed once, why would it be successful this time? For Cordoba, the unique challenge was taking an existing brand and using it to expand into the electric guitar and steel string acoustic markets. Guild’s established success under Fender made its acquisition a relatively safe bet for Cordoba. The story could not be more different with Danelectro. As I wrote in a history of the brand, the Evets Corporation was surprised to learn of the demand for guitar in the late 1990s, and found success on the market when it finally started releasing retro instruments. The criteria for success or failure when acquiring and relaunching a brand is the same as that of starting a company from scratch: having good business sense, knowing your audience, and making products people want. Relaunching a brand means focusing on its best parts. Supro’s sound, Danelectro’s style, and Guild’s cult appeal were what kept these previously deceased brands alive in the minds of players and what let them live again.